This week we lost a brilliant scientific mind and a delightful pop culture personality. Stephen Hawking died peacefully at his home in Cambridge early morning Wednesday, March 14, 2018. After being diagnosed with Lou Gehrig's disease (ALS) at age 21, Hawking spent the rest of his life doing all the things he never thought he'd have the chance to do. Even though the disease left him paralyzed, his mind remained sharp until his death. He communicated through a synthesizer that tracked his eye movement. His only complaint with the device, which was manufactured in California, was that it gave him a new vocal inflection. "Please pardon my American Accent," he would say. 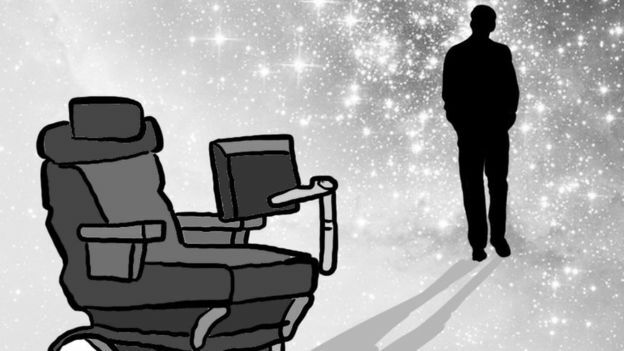 Hawking evolved into an influential scientist and an inspirational public icon. He stated, "I want to show that people need not be limited by physical handicaps as long as they are not disabled in spirit." He spent much of his time involved in disability rights activism. He was an undeniable source of empowerment and reassurance for combating against ablest prejudices. He starred in the opening events of the 2012 Paralympics Games in London. Hawking proved that being disabled did not mean that he could not do great things. And great things he did. Hawking's most notable scientific discovery as a Theoretical Physicist was Hawking Radiation. 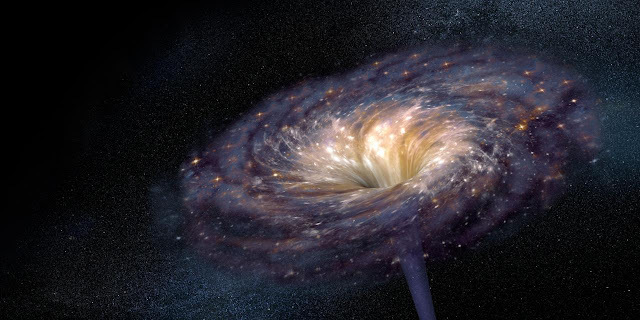 This is a phenomenon that explains how black holes lose mass. He dived into study on black holes, which is defined as a region of space having a gravitational field so intense that no matter, light or radiation can escape it. The question Hawking asked was, "do black holes emit heat?" Since he already determined that black holes adhere to the second law of thermodynamics, which essentially states that entropy (a measure of disorder in a system) increases over time. New Scientist explains Hawking's reasoning..."Anything that has entropy also has temperature - and anything that has a temperature can radiate." By using both Einstein's Theory of Relativity (which describes how gravity works on a large scale) and Quantum Mechanics (which describes how the very smallest components of the universe work), he computed the math that allowed him to basically take the temperature of a black hole. Black holes were previously believed to be a system which an object could enter into, but never come out. Hawking proved that even a black hole can shrink and die. He goes on to give us a piece of inspirational advice, "Things can get out of a black hole...So if you feel you are in a black hole, don't give up -- there's a way out!" 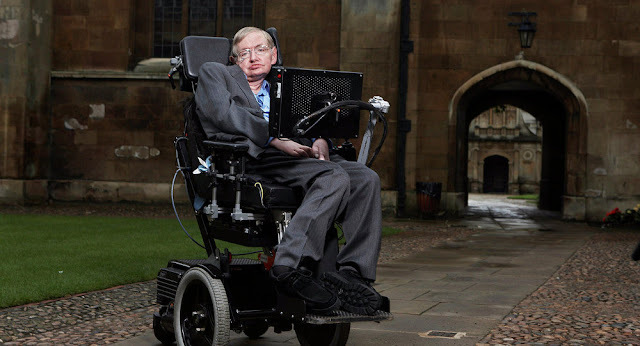 Hawking insisted that his discoveries be available for the public to access, not only in a scientific aspect, but also in a way format they would comprehend. He approached Simon Mitton, the astronomy subject editor at Cambridge University Press, in 1983 with his idea to write a book that would sell in airport book stores. Though Mitton was skeptical, he agreed to Hawking's idea which resulted in #1 New York Times Bestseller, "A Brief History of Time." The novel has sold over 10 million copies and is actively featured in airport bookstores. In "A Brief History of Time," Hawking covers the history of astronomical studies showing how we have come to understand the universe so far, the properties governing space and time, the expansion of the universe and his own personal exploration of black holes. 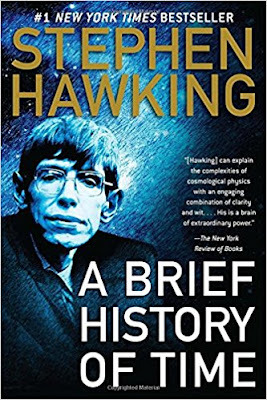 By explaining not only how the universe operates, but why we should care, Hawking accomplishes his aim to get people thinking and talking about these theories and how they affect us as reasoning human beings. I'd say that if Vanity Fair publishes articles like this one titled, "How Stephen Hawking Helped Change the Way We Think About Science," he accomplished his goal. Not only was Hawking a brilliant scientist, he was also an adored pop culture icon. He guest stared on numerous television shows including: The Simpsons, Star Trek: The Next Generation, Futurama, The Big Bang Theory, and Last Week Tonight with John Oliver. He along with other scientific personalities like Carl Sagan and Neil deGrasse Tyson yearn to present mathematics and science in a way to get people interested in the bigger questions. Hawking said, "People have the mistaken impression that mathematics is just equations. In fact, equations are just the boring part of mathematics." Hawking's passion for science and his ability to reach people makes him an invaluable asset to our society and where we are heading as a human race. Hawking was a strong advocate of space exploration believing it is essential to the long-term survival of the human race. Professor Hawking received several awards and honors including: Fellow of the Royal Society, BBVA Foundation Frontier of Knowledge Award in Basic Sciences, Presidential Medal of Freedom ( the highest civilian award in the United States), and the Pride of Britain Lifetime Achievement Award (2016). However, he did not manage to procure a Nobel Prize. He didn't seem too broken up by this as he explained, "The Nobel is given only for theoretical work that has been confirmed by observation. It is very, very difficult to observe the things I have worked on." 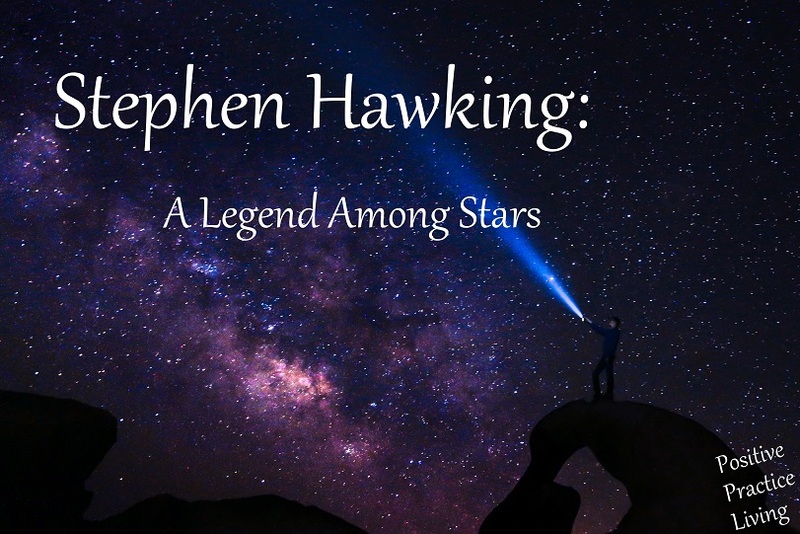 Though he was diagnosed with a neurodegenerative disease at a prime age in life, he went on to do great things, paving the way for a whole new generation to look at the stars and at life. 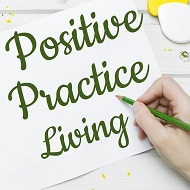 He said, "At the time [I was diagnosed with two years to live], I thought my life was over and that I would never realize the potential I felt I had. But now, 50 years later, I can be quietly satisfied with my life." 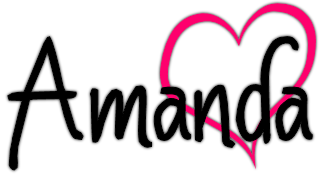 At the end of a life, isn't that all we can really ask for? I always had upmost respect for Stephen Hawking as a scientist and as a person. He had a great sense of humor and a life full of purpose and passion. Stephen Hawking will be truly missed. Stephen Hawking dies on #PiDay. What a big loss for us. He was an amazing human being. Yes he was. Thanks for stopping by! I am saddened by his passing. He was such an inspiration. He had a great sense of humour too. I loved his humor. I think that is one way he was an inspiration. Despite his physical limitations and his incredible intellect, he still found humor in everything and didn't take life so serious all the time. I could use a little more of that most days. A brilliant man and a huge loss. Loved this post! A huge loss and voice for the world... let's hope his genius continues to inspire the next generation. He was an inspiration in so many ways -- we need more people who can make science cool. Absolutely. It has been wonderful to see the scientists that can make science come alive and relate it our lives in a real way. I loved that Hawking wanted his book to be read in airports, he really was thinking ahead of the time in so many ways. He was an inspiration. The world lost a brilliant mind. Yes, his absence will be felt for some time. Thanks for stopping by! Have a great week!